When President Woodrow Wilson of the United States of America addressed a joint session of Congress on 26 February 1917, it was only days before the inauguration of his second term as President. At the Congress Session, he asked for special powers over the army and navy for upholding the rights of the United States and to establish a state of armed neutrality. In his address to Congress President Wilson alluded to the sinking of the wheat-laden American sailing vessel, the William P Frye, which was first American merchant vessel lost to a German submarine during the war on 28 January 1915 off Brasil. He also displayed his outrage with the sinking of the United States ships, the Housatonic, which was sunk off the Scilly Isles at the southwest tip of Britain (3 February 1917) and the ship Lyman M Law, which was torpedoed (12 February 1917) in the Mediterranean Sea off the coast of Cagliari. Wilson noted the dangers attached to American shipping and that the situation was rapidly growing more serious with each passing day. As it only being a few hours after the torpedoing of the Cunard Liner Laconia (see last week’s article) by a German submarine (25 February 1917) Wilson was not aware of its full list of casualties and that three American citizens – two of whom, were women – had lost their lives. The President’s remarks regarding German submarine warfare were largely historical, but suggested that the holding up of American shipping “might presently accomplish what the new German submarine orders were meant to accomplish as far as America was concerned”. The President added that the “overt act” of killing American citizens, which he had hoped the German commanders would avoid had not occurred. He asked Congress for special powers, so that American commerce and American lives may be defended should the occasion arise, as it has proved impossible to safeguard neutral rights by diplomatic means. He spoke of a possibility of armed neutrality, but declared that no course of his action would lead to war. His speech was remarkable for its restraint and showed President’s determination to avoid war if such a course of mediation could by any “honourable means be pursued”. 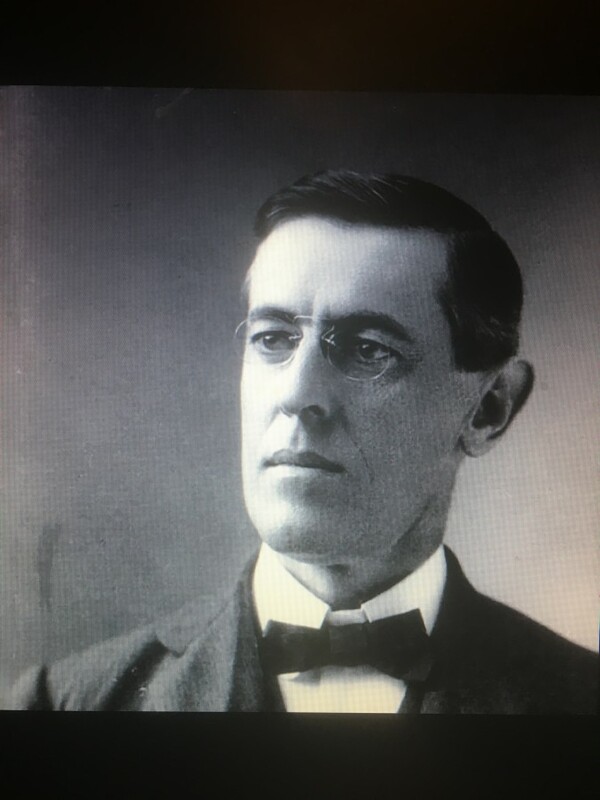 As a result of President Wilson’s address, it was decided that a Bill should be immediately introduced granting the President legislative power to arm ships. On hearing upon the torpedoing of the Laconia it had the effect of speeding up matters, and subsequently another special session of Congress was called. The Senate and Foreign Relations Committee had already agreed to a Bill authorising the arming of American merchantmen for defence, and the appropriating of two hundred million dollars—and judging by the comments of the American Press, American opinion has been seriously perturbed by the Laconia outrage. In a historic speech, he reiterated the severance of diplomatic relations with Germany. Mr Wilson stated that he could not bring himself to believe that the German Government “would destroy American ships and take the lives of American citizens in wilful prosecution of the ruthless naval programme they had announced their intention to adopt”. Throughout the United States the question was asked in their press how far further was the German submarine campaign to be allowed progress before America would have to intervene to protect the lives of her citizens. The eyes of the world were turned towards the United States, and developments were awaited with the most intense interest. In his inauguration address on 5 March 1917, Wilson alluded to the fact that the American nation might have to take stronger action, and he was clearly worried that some event would push the nation into war. However, the German campaign did not cease as the German submarines in March sank more merchant ships. The typical German U-boat was a formidable enemy, 214 feet long, carried 35 men and 12 torpedoes, and could travel underwater for two hours at a time. On 6 March 1917, the British vessel and Sunderland based SS Westwick struck a German mine off Cork Harbour. The crew abandoned ship, but it did not sink, and drifted ashore at Fish Point near Ringabella. There were no casualties but the wreck was scrapped on the spot. Four U.S. ships were sunk in March. One of those was the American passenger steamer SS City of Memphis, a large cargo ship, which was on a voyage from Cardiff to New York in ballast. On 17 March 1917, it was sunk by the German submarine UC-66, 33 miles south of Fastnet Rock. There were no casualties. 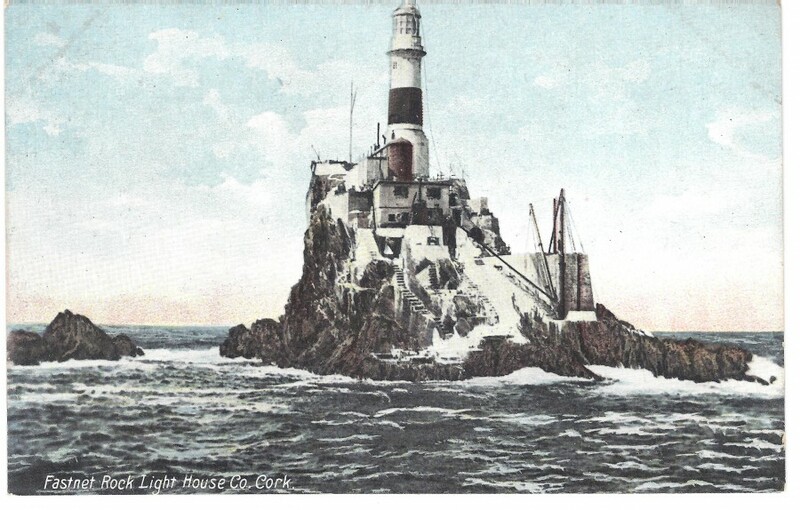 Fastnet Rock was the first landfall for many ships crossing the Atlantic (second structure, established 1904). On 2 April, 1917, President Woodrow asked Congress for a declaration of war. Before a joint session of the two houses he read the words, “The present German submarine warfare against commerce is a warfare against mankind. It is a war against all nations…We are accepting this challenge…The world must be made safe for democracy”. On 6 April, Congress declared war. In the ensuing eighteen months, the United States built an army of four million men by conscription, sent two million men overseas to France, and united an American population behind the war effort.